Maharashtra Yoga Utsav 2017 will be held on 24th, 25th and 26th March. The innumerable benefits of Yoga have been proven time and again by science. Today, Yoga is a force to reckon with and has gained immense popularity internationally and also in its birthplace, India. To spread the message of Yoga to the masses, the Kaivalyadhama Ashram is organising the Maharashtra Yoga Utsav 2017. The three day event will be held between the 24th -26th of March, in Mumbai and is supported by Central Council for Research in Yoga and Naturopathy (CCRYN) and the Ministry of AYUSH, Govt. of India. Speaking to Yoga.in in an e-mail interview, Subodh Tiwari, organizing secretary of the festival elaborated on the main objective of the Utsav. “Maharashtra Yoga Utsav is being organised to remind us, that this ancient science invented by our forefathers belongs to me, you, him, her & them which is why as individual practitioners, we ought to unite under one roof to encourage this practice.”, he said. 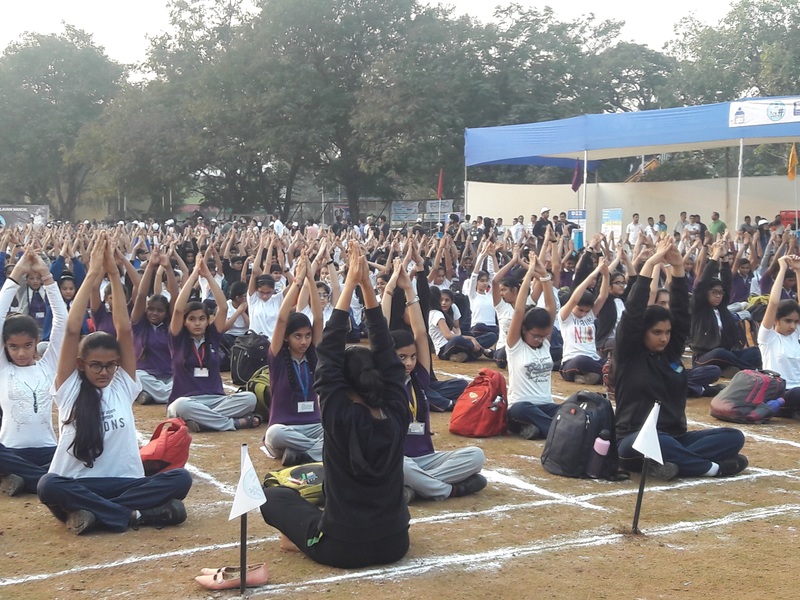 The Maharashtra Yoga Utsav has the support and participation of some of the most well-known Yoga institutes from all over Maharashtra, namely – Kaivalyadhama, Bihar School of Yoga, Iyengar, Yogashraya, Art of Living, Maharshi Vinod Research Foundation, Brahmakumari, Sadguru Maheshda, Kriya, The Yoga Institute, Yoga Vidya Niketan, Yoga Vidya Gurukul and Ghantali Mitra Mandal. “There are various schools of Yoga which are not well known, but are doing great work by promoting classical Yoga. The aim of the ministry of AYUSH is to encourage such bonhomie amongst these various traditions. By coming to gather the benefits of the various stakeholders in the field of Yoga.” explains Mr Tiwari about the associating Yoga institutes who are participating in the event. The Ustav has organised a total of 40 workshops which will be held across 3 venues in Mumbai – Kaivalyadhama (Marine Drive), SNDT University (Churchgate) and KC College (Churchgate). The Government of India intends to make The Maharashtra Yoga Utsav an annual feature. They are also planning to organise similar events across the other states in India. “Yoga promotes physical, mental, emotional and spiritual wellbeing. From humans who did physical intensive work, we have now become humans who are doing more of mind related complex work. Yoga is the answer to harmonize, your body – mind and spirit. It does not require any investment, is one of the safest practice to do and it can be done across any age or age.” Mr Tiwari said, highlighting the importance to practice Yoga during this day and age. Pranayama as per classical texts, management of hypertension through Yoga, meditation and meditative way of doing Yoga Practices, Kriya Yoga to cure Diabetes, and Raja Yoga for inner healing & self-development are few of the workshop themes planned for the Utsav. Abhyasa or parallel practice sessions will also be held across the three venues. The Maharshtra Yoga Utsav 2017 is free of cost for all participants. You can register for the event here. With limited seats available, it is advised to be at the venue 30 minutes prior to the workshop to secure your seat. For more information on the event – list of participants, workshop schedule and FAQ’s visit their website. Also follow them on Facebook , Twitter and Instagram.